Since his first appearance in Beeton’s Christmas Annual in 1887, Sir Arthur Conan Doyle’s Sherlock Holmes has been one of the most beloved fictional characters ever created. 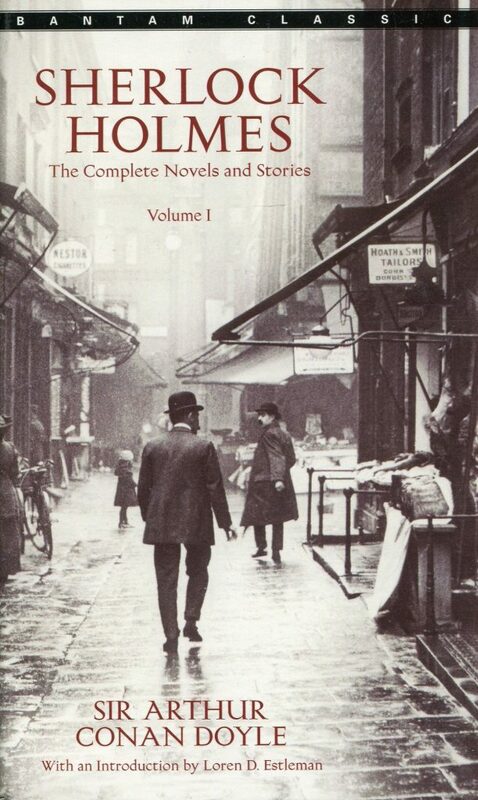 Now, in two paperback volumes, Bantam presents all fifty-six short stories and four novels featuring Conan Doyle’s classic hero–a truly complete collection of Sherlock Holmes’s adventures in crime! I loved reading Sherlock Holmes Volume 1 and reading how Sherlock solves the many puzzling cases that come to him. Some of the cases can be a bit confusing, but others are so much fun to read. My favorite story in this Sherlock Holmes Volume 1 was The Hounds of Baskerville. Though Sherlock is a fascinating character, I like Watson better and enjoy reading what Watson observes.